By adding comments in OBIEE users are able to provide their feedback on the decision making system of the enterprise. Commenting on a dashboard or annotating a cell with feedback or other descriptive details can provide a great way to corroborate information or provide persisting perspectives. This commentary can then be viewed by other users who have access to the BI system. Ultimately the goal of adding commentary in OBIEE is to have a system for persisting feedback, creating a call to action, and recognizing the BI System’s most prolific users. This is the basic concept of collective intelligence in Business Intelligence referred to as Collaborative BI. This post takes a quick look at how to add comments in Oracle BI (OBIEE) (Oracle BI Enterprise Edition). Currently there are only a few approaches to adding comments in Oracle BI (OBIEE) dashboards and the Oracle BI portal system: Custom Build, Action Framework, APEX, and BITeamwork. This post will look at each one of these ways to create dashboard comment in OBIEE. This is a common request in all business intelligence systems but currently OBIEE is the only Business Intelligence tool that has a complete end-to-end comment management system that even integrates with Salesforce Chatter and Yammer; it’s called BITeamwork. Let’s look at all of the options in a bit more details below. Some Oracle customers that have purchased OBIEE as their enterprise BI tool have a close relationship with their application development team within the organization. An application development team is typically a team (a motley crew of sorts) of coding gurus with varying technology backgrounds in programming. Typically these are the folks that would develop a web portal, intranet page, custom HR application, etc. internally. Also this team typically maintains third party products such as MS SharePoint, etc. Every now and then this same team would manage the BI systems purchased by the organization. So, when looking to embark on a project to create a commenting layer for OBIEE it is often these folks that are tapped to do the work. If an organization doesn’t have this type of crew they may seek outside assistance. Usually this crew has no experience with OBIEE but every now and they find a ringer or a developer that can pass as a solution developer to implement a basic solution. A pop-up form similar to the screenshot below would give the basic input for commenting on the dashboard. A basic input form to a database table modeled in the RPD could then surface comments on the dashboard but will more than likely not scale nor be very manageable. If you are looking for estate agents derby then read the info . Just one click to upload attachments to the right Salesforce object! Charter Chooses Sense Corp as Exclusive Vendor for Next-generation ..
What is the concept of business intelligence? Business intelligence is basically an automated system that analyzes a huge amount of data collected by a large private company. What are the pillar concepts of business intelligence? A data gap analysis. Once you've identified the questions you need to answer, you need to take stock of the data you have an see if it's adequate to answer them. If not, you have a gap that needs to be filled. There are many different sources of data available that you can use to fill these holes, but they do need to be filled if you want meaningful answers to your questions. 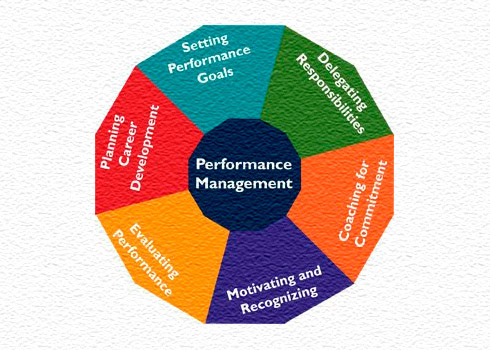 Government Performance Management (GPM) consists of a set of processes that help government organizations optimize their business performance. It provides a framework for organizing, automating, and analyzing business methodologies, metrics, processes and systems that drive business performance.